I’m rather fond of saying that everything leads back to Supernatural, but honestly, it’s just true! 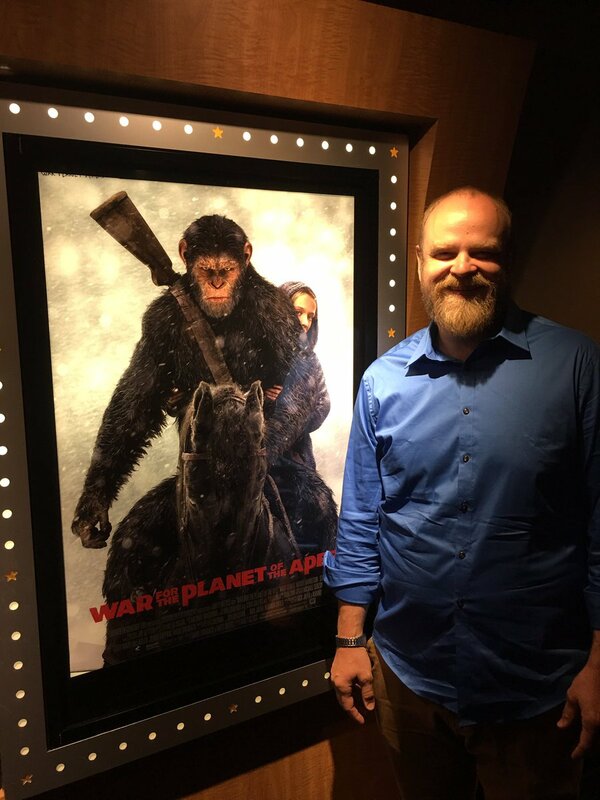 I had the pleasure of chatting with Michael Adamthwaite, who is currently playing Caesar’s lieutenant Luca in the new film War For the Planet of the Apes. The film had a presence at Comic Con with a panel showing off the artistic and visual effects of the film. As a long time fan of the entire Planet of the Apes series of films (I even read the book by Pierre Boule and loved it), I was excited about the last in the sequel trilogy. The film focuses on Caesar and the war between his quest for revenge and his innate empathy, as well as on the actual fight between humans and apes. It also introduces the de-evolved young human girl Nova, a familiar name from the original series of films and first group of sequels. The movie tackles deeper themes than might be expected, which makes it even more intriguing to me. So having an opportunity to chat with Michael Adamthwaite, who played Caesar’s lieutenant, Luca, was a real treat. 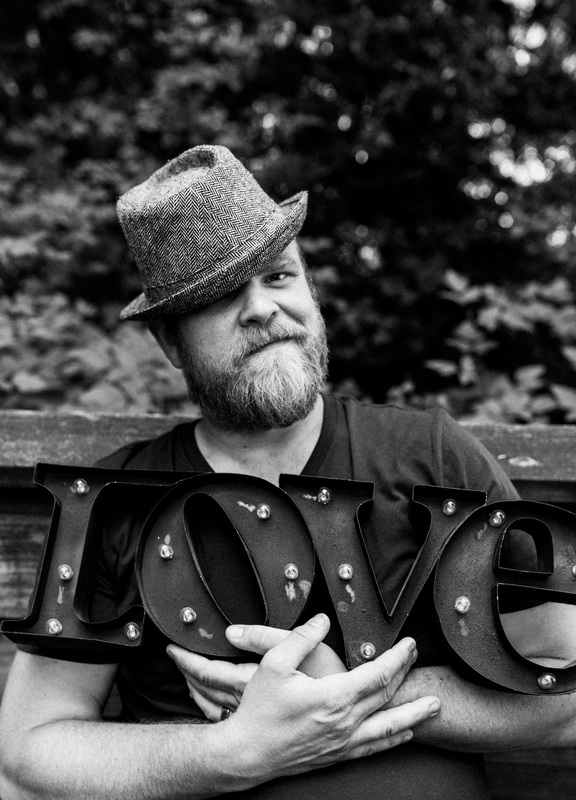 As soon as I did a little IMDb research on the film, I realized its Supernatural connection – Michael, as well as Ty Olsson and Aleks Paunovic, had all been on SPN too! Here’s my chat with Michael, which I thoroughly enjoyed. Lynn: I was a huge fan as a kid of the original films and even read the book. Michael: Oh, so you’ve got a lot of the lore down, okay! Lynn: What I remember anyway, which makes this new film exciting to me. One of the things that has really evolved as the films have evolved over a long period of time is the portrayal of the apes. There’s just so much expression and emotion imbued in them now, which is amazing. Michael: Yeah, it is a huge thing to behold. The emotionality, the quality of that emotion comes directly from the performance. We’re just so grateful that we have such artistry and such technical wizardry. I can’t even call it anything other than that, to be able to put all this together to convey the raw natural emotion. And a lot of people have been asking me online hey, are we ever gonna see a cut of the movie where there’s no rendering and it’s just you guys in suits? Some people have been calling for that but I’m telling you, they’re going to see the same thing. The emotion comes through directly from Steve and Karin and Terry and myself, and it’s a huge privilege to watch it transform that way. Lynn: That’s so fascinating and actually I do think that would be cool to see. I have no doubt that you’re right, but the whole process is just fascinating. Michael: Oh it’s next level every day. Lynn: So tell me about how you went about the process of really bringing Luca to life. Michael: Well, thankfully I have Terry Notary to rely on, probably the best motion choreographer working today. He’s got everything to be porud of. He’s created a tremendous world with characters that – for me, even in the last several years, working on Warcraft and BSG, creating these characters, they’ve come from a place that Terry just pulls out of the actors. You show up in a state and Terry takes you apart and puts you back together and before you know it, there’s a beautiful sense of self. And you don’t think about anything, you drop in and you’re not thinking, you’re present. And that’s the gift that animals have, they’re totally biology, so it’s next level for sure. Lynn: Were you also familiar with Planet of the Apes and had you seen any of the original or sequel films? Michael: I am a huge fan in all of its forms. I’m on the younger end of the spectrum, so some of the older properties haven’t been onscreen for a long time, but I really love the world created by this one question: what would it be like if it was a planet of the apes? That to me, it can beautifully be explored. So yes, I’m a huge fan. I was so excited just to get to audition let alone be considered for the role, let alone find myself playing Luca. So this is all a dream come true. Lynn: I think as a psychologist I’m sort of fascinated too by why we find this both fascinating and terrifying. Lynn: There’s something in us as humans that always makes us question our place among the rest of the animals, and especially those that share like 99% of our DNA. There’s an ambivalence there that makes this extra interesting and maybe has that core of anxiety there to pull from too. Michael: I think that regardless of what species you are, you can achieve some kind of sentience and knowledge, some awareness outside of your biology, then you’re gonna question how long it’s gonna take for something to try to take you out. That’s nature/nurture, right? Michael: We survive, no matter the language, parents communicate to their children, we must survive. So yeah, it’s a pretty close to home idea for sure. Lynn: What makes this particular film special and appealing, because it seems to be pretty popular? Is it the fight scenes, the story, the way the apes are portrayed? What’s your take on that? Michael: My take is quite frankly that the power of story trumps any visual because we’ve seen films where the money has been tipped towards one area, like the visuals or the fight scenes or the explosions, and there’s no story! And it doesn’t work. Call them bombs or flops or whatever, but people don’t respond. But if you can take a couple of guys and a wonderful lady and put them in pajamas and get this kind of response, I think people should wake up and stop spending their money foolishly just on effects. We’ve seen so much, we’ve been completely desensitized by all the visual exposure, we don’t care anymore. Where’s my narrative? Who do I root for, who do I love, who do I hate? Give me story and give me performance, don’t just blow stuff up and tell me I’m supposed to give a crap! Lynn: Oh, I couldn’t agree more, it’s all about the story. That makes me want to see this movie like yesterday. There has to be something to anchor your emotions around. Michael: Life is often visual first, and if you can find yourself in an audience full of people and you can connect with what you see onscreen even for a moment, you have transcended and it has transported you, and that is a gift. That’s what you pay your ticket price for. Otherwise you feel empty afterwards because there was no connection. So you and me are on the same page. Michael (laughing): I have to say, there were times when Steve just naturally just dropped into his love of play and his love of theater and craft. He really is just someone who almost sometimes forgets where he is for a moment and just has fun, but man oh man, that scene in front of the fireplace, he was Marathon Zahn for sure. I think he got upwards of like 37 takes. Michael: God bless him, he’d be like with legs throbbing, but saying I’m okay I’m okay, just this absolute tour de force of leg strength. He’s a very physical comedian and a talented actor, I love him. Lynn: That’s impressive. What was your favorite scene to film? Michael: Oh that’s such a hard question to answer! Every scene has such a relevant contribution to the overall arc, it’s hard to pick out one moment. But as a performer I really looked for those times when the frame kinda gets a little blurry and you sort of forget the world and who you are, what you are, where you are, and you’re just alive in a body in a moment and that moment for me was giving Nova the flower. My wife thankfully was present that day and was able to watch filming, and it was beautiful. At times, I was just a being on a mountain with a girl showing her compassion in what was a really difficult and dangerous and horrific reality. That was pretty big for me as an actor. Lynn: And again, that basic human emotion that comes through, those are the moments we all relate to, that are memorable. Michael: Yeah it definitely was for me. 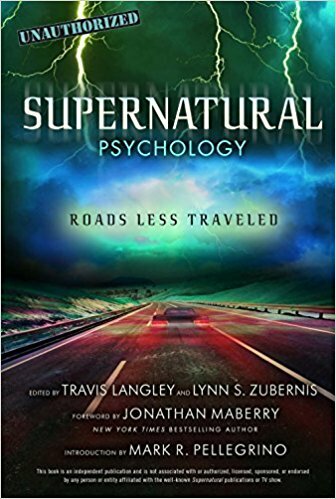 Lynn: Switching gears for a minute, I write a lot about the television show Supernatural, I’ve written five books about the show, so can I ask you a Supernatural question? Michael: Ohhhh you’re a super fan, right on! Lynn: Probably an understatement. (Ahem) Interestingly, you’ve been on the show, and Ty Olsson and Aleks Paunovic have also been on Supernatural and are in this film. Michael: Yeah, we’re fortunate local boys. We know the rules, if you want to work, get on Supernatural! They are not messing around, and lucky us for having them. Lynn: So you had a scene with Jensen Ackles and with Felicia Day too. And apparently it became a meme?? Michael: (laughing) It was a wonderful little scene, and of course the rule is there’s no such thing as small characters, only small actors, and this was at the time, it felt like a nice little role, but to see it blow up as a meme and to be part of all this, and the meme asking Jensen Ackles a series of questions was really fun. Felicia was really great. I think at one point she was miffed that her video game wasn’t loading on her phone which was really sweet and we all laughed about that. Michael: She’s a true fan and just an absolute gamer goddess so it was great to hang out with her, she’s such a huge part of fan culture. We’re just all geeks on the inside trying to have fun. Lynn: Absolutely. Somebody needs to send me that meme! Michael: I think it’s on my twitter, it’s just me and Jensen and Felicia and of course what’s added isn’t dialogue from the show by any means, it’s just this interesting three way meme by implication. Lynn: I’m so gonna stalk your twitter! And I had no idea you were on another of my favorite shows too, Dirk Gently! Michael: I was very fortunate to be on Season 1 of Dirk Gently, playing a really fun character by the name of Zed, who of course they defended the machine, they sought the kitten, they created havoc, and that was the role. Lynn: I didn’t know who you were then, but that was so awesome! Michael: You have to be invisible for things to work, so I take pride in that. And stepping out with Apes right now, I couldn’t be prouder about that. Lynn: Last question, what was the most challenging part of filming this movie? I can imagine some of it was quite challenging. Michael: Well of course I have to acknowledge the logistics of filming and some of the conditions we were in – the snow, the sleet, the rain – all of that was incredibly difficult on the crew and cast. But that wasn’t the hardest part for me. For me it was just letting go and dropping down and doing away with everything that was afraid of things when they happened or commenting on things when they happened or thinking I didn’t want to be vulnerable in this moment, it was really just doing away with myself. Not me as a human but doing away with fear and cautiousness. You have to become an animal, and ape or alligator it doesn’t matter, there are certain behavioral patterns you have to work towards so you have it give it everything you have. Finding Luca was a big thing because in a way, I found myself, and that was the biggest challenge. Lynn: There’s always that need to put your own identity aside to play another character, but is this sort of an extra layer of challenge, putting aside your humanity as well? Michael: Yeah, even devaluing labels and not getting my mind locked in by the titles and names of things and what we call things and how things get fed into a hierarchy, but instead how does this make me feel? Then feel it or trust it or defend it. Regardless of where the emotion goes, it all comes from the same place. There’s this center, your power cell we all operate from, and for me the challenge was doing away with everything that got in the way of that. Lynn: Is a take away message of the film that there are a lot of similarities between the humans and the apes and at the core more is the same than different? Michael: I think it’s a central theme but not the be all end all. The idea that we as conscious creatures, having a higher consciousness in a fictitious world, we definitely blend the line for sure and start to see both the similarities and the differences but really, if it was about any one dynamic, it’s about the self. There’s a very old saying, the lion who conquers a battlefield is not nearly so accomplished as the lion who conquers himself. It’s really about that war within Caesar, that war for humanity and for peace and that sense of mercy. It’s a very complex film, I’m really excited for you to see it. 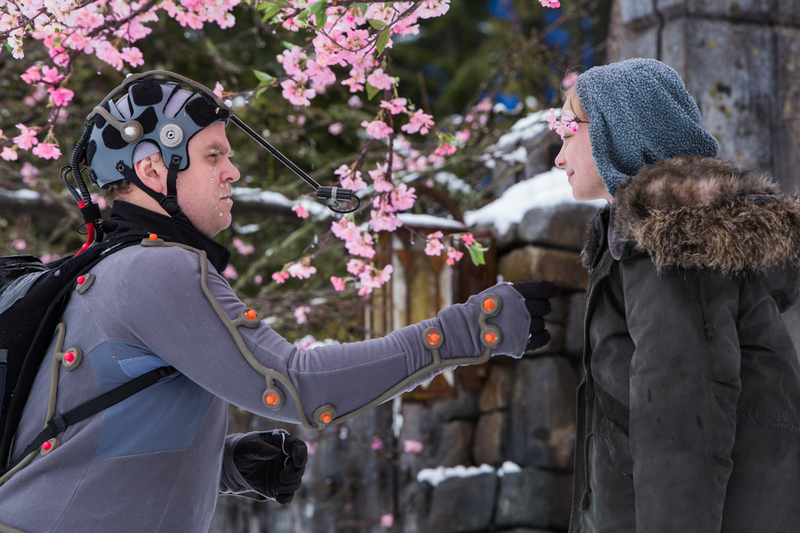 Lynn: Did Andy Serkis do a really kickass job portraying Caesar? Michael: Oh man, kickass is like the greatest understatement ever. If Andy doesn’t get an Oscar, there’s going to be a huge army of pissed off people, me included. At that, we were out of time – our conversation had been so enjoyable I didn’t realize how much time had passed! Lynn: Thank you so much, I can’t wait to see this film! Michael: Thanks so much and hey, look out for the next big thing! Guess what I’m off to see?? If you’ve already seen Battle for the Planet of the Apes, what did you think? And if you haven’t, catch it in theaters now! Oh and somebody please send me that meme! our books at the links at the top! ← Supernatural at Comic Con 2017! Chad Rook is also in it. He was in S6E19 Mommy Dearest as one of the first ones Eve infected. Then he was again in S8E5 Blood Brother where he played the vampire Desmond trying to recruit Benny into a new vampire nest.